Singapore Freebies: Clarins: Free Body Lift Cellulite Control Samples Giveaway!! 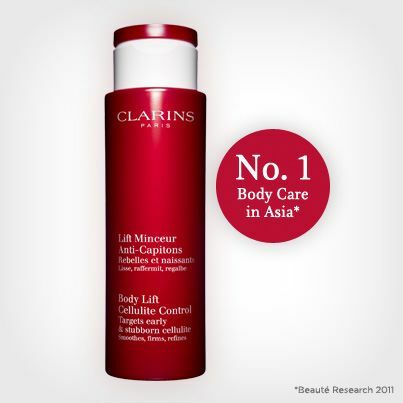 Clarins: Free Body Lift Cellulite Control Samples Giveaway!! No. 1 Body Care in Asia: New Body Lift Cellulite Control - Targets early & stubborn cellulite from the source and prevent it's return for a slimmer silhouette and firmer-looking skin. 85% of users say their skin is firmer and 78% of users observed less visible cellulite. Get your trial supply now -Plus, fans-only access to Beauty Flash magazine! To be eligible for a trial supply of Body Lift Cellulite Control and body consultation, Beauty Flash by Clarins – Jump Slim Edition online magazine, gifts and grand draw, participants have to 'like' the Clarins Singapore Facebook page and submit their particulars accurately. One set of trial supply of Body Lift Cellulite Control per customer. While stocks last. Upon successful completion of the form, a confirmation email will be sent to you. If you do not receive the confirmation email within 3 working days, please contact Clarins Singapore at 1800 838 6342/6838 6341 or email info@clarins.com.sg.